Great commercial piece on the corner of 12th St. & 1900 W. Just west of I-15 off ramp. 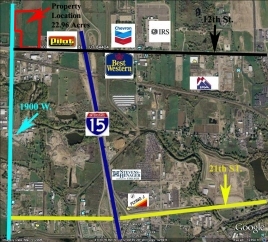 Great location with over 650' of frontage along 12th St. and 650' along 1900 W. Priced at $6.00 psf. Call today for more information.